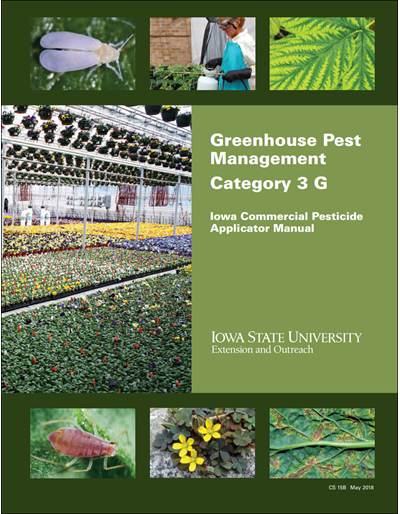 By implementing a few key management strategies presented here, most farmers may achieve Zero Pesticide Storage in two or three years. 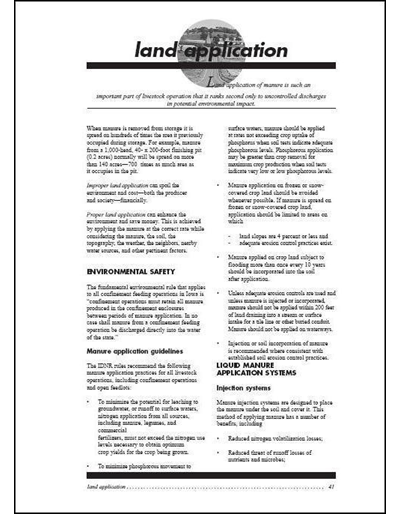 Tips for choosing the right gloves. 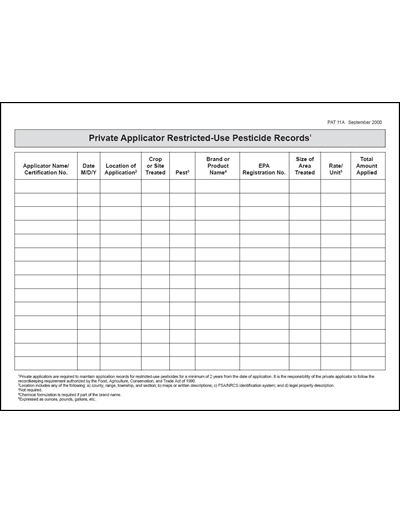 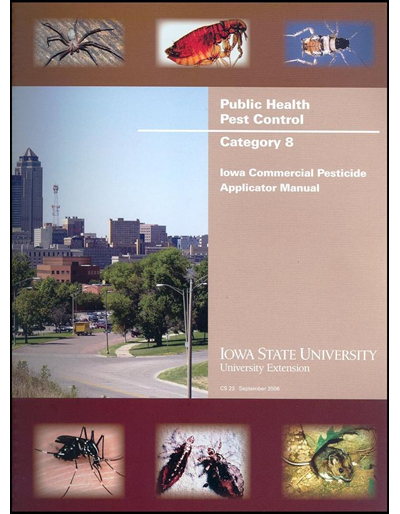 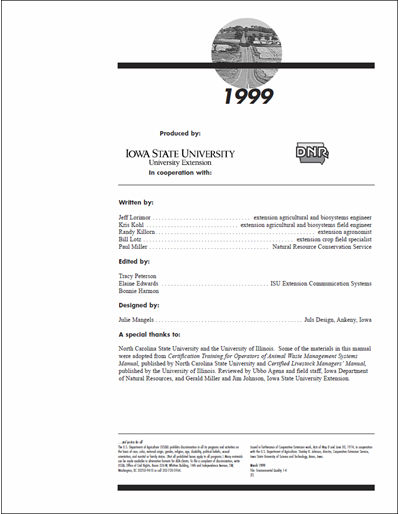 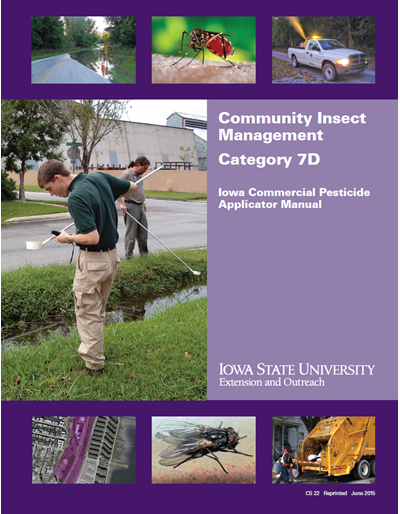 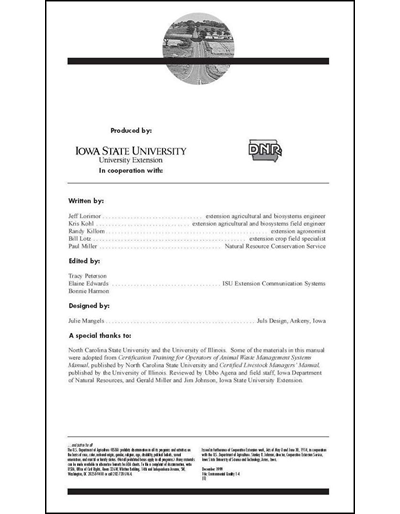 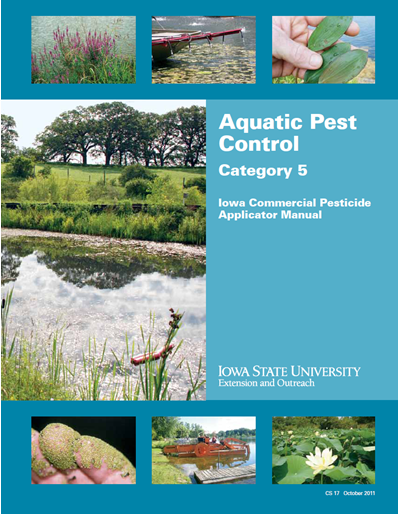 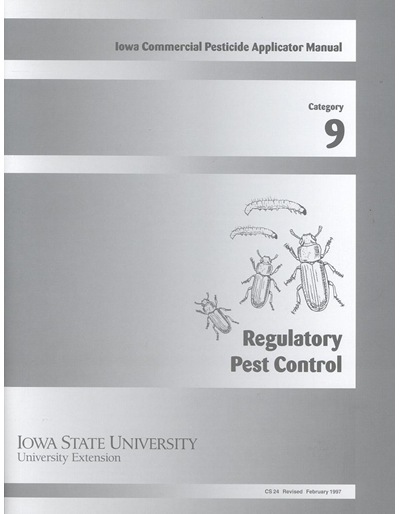 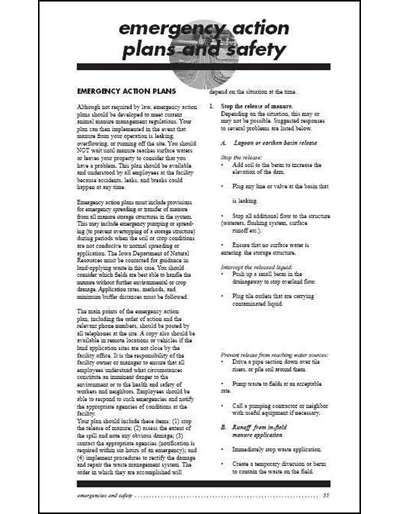 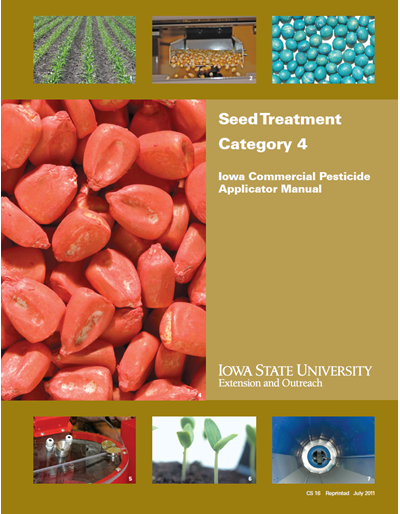 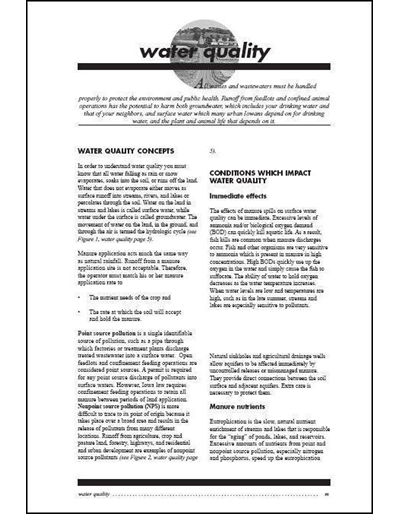 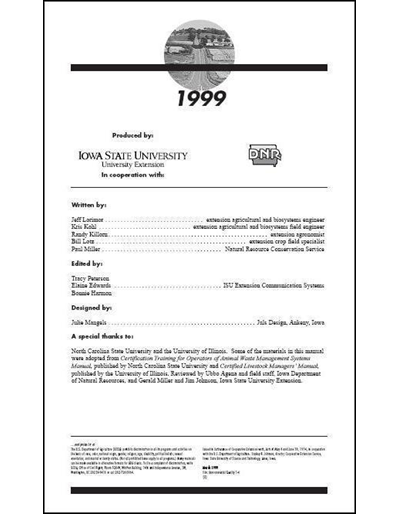 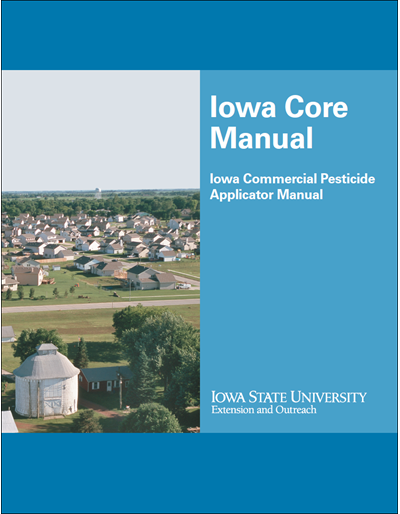 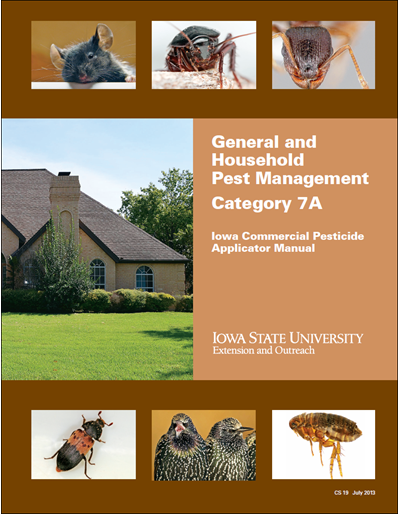 This two-page fact sheet gives notification requirements and sign specifications for commercial and public pesticide applicators in urban areas of Iowa. 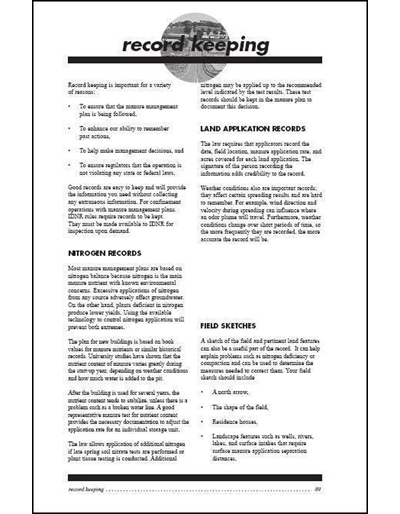 Reviewed and updated as requirements change. 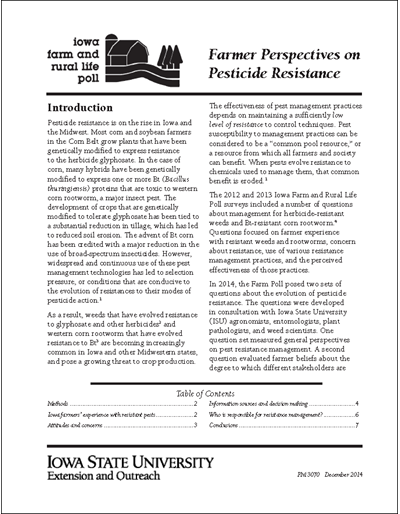 Survey results for the 2014 Iowa Farm and Rural Life Poll concern farmers’ perceptions on pesticide resistance. 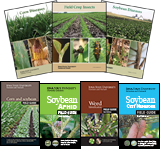 Questions focused on farmer experience with resistant weeds and rootworms, concern about resistance, use of various resistance management practices, and the perceived effectiveness of those practices. 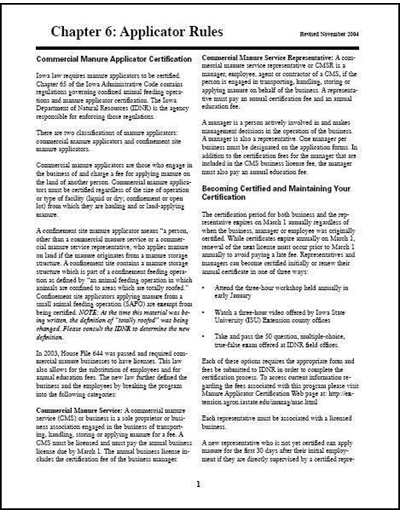 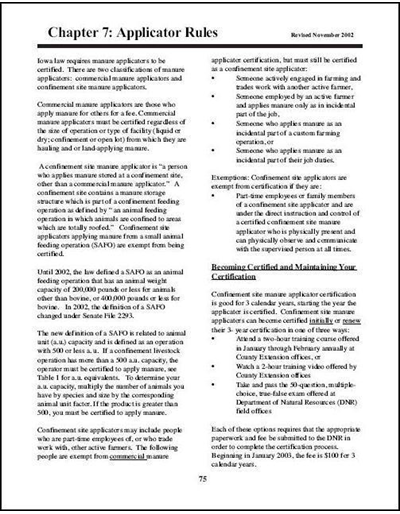 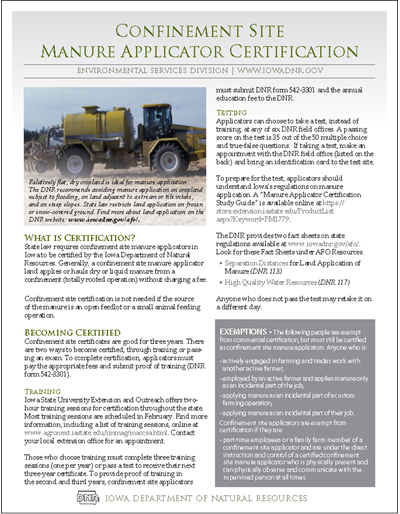 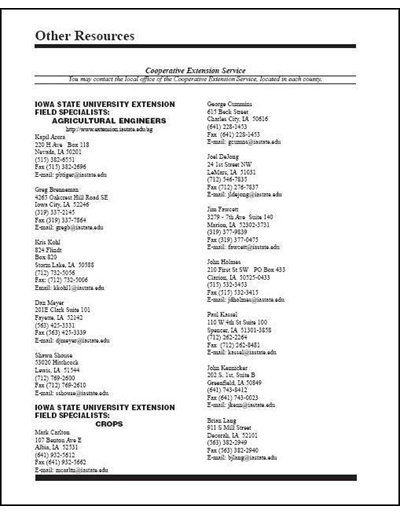 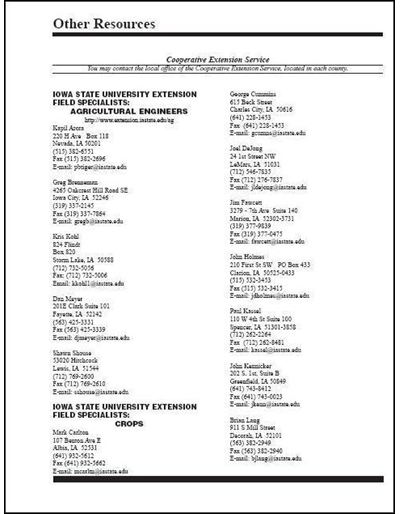 This form provides background information on manure applicator certification including legal issues, training courses, testing, late fees, certificates, requirements, and disciplinary actions. 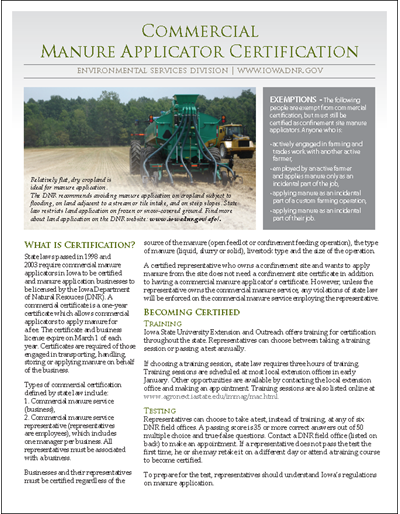 DNR's manure applicator certification: includes information on who is affected, becoming certified, maintaining certification, grace period, late fees, manure application, duplicate certificates, certification training courses, testing, training manual, test preparation, requirements for manure application, and disciplinary actions. 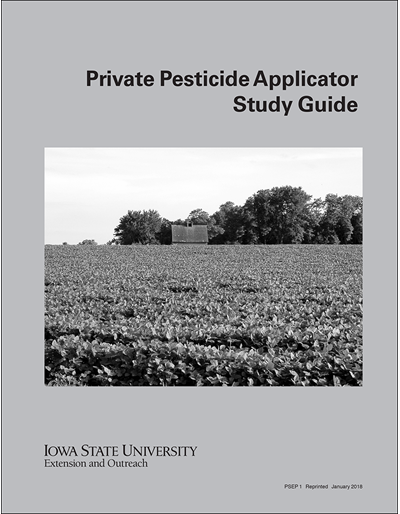 Find out what factors affect pesticide drift distances during ground spray application conditions. 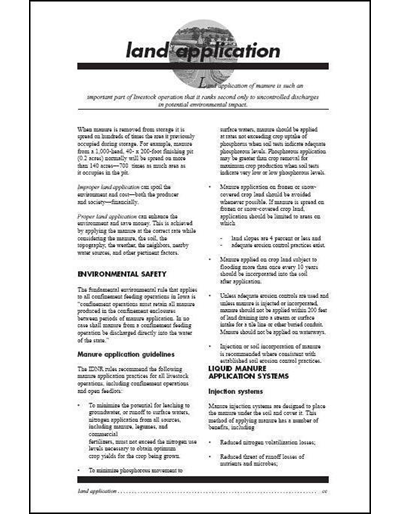 Tips are provided for reducing drift. 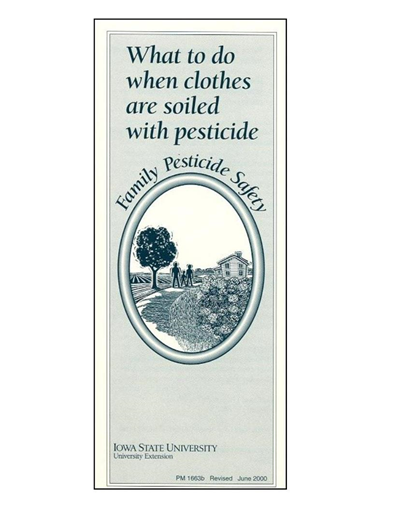 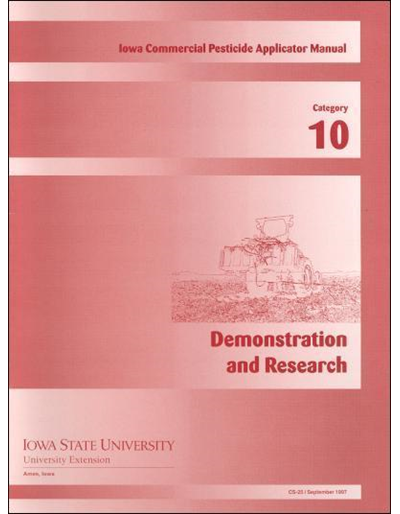 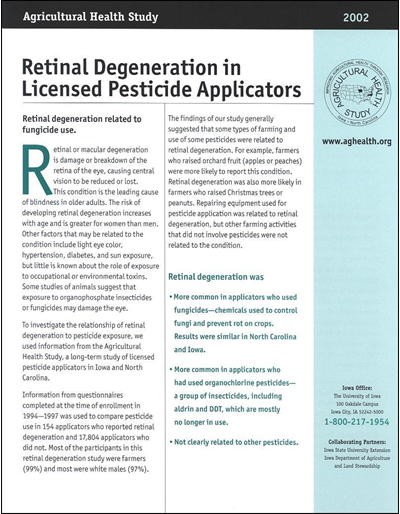 Studies indicate that using the laundering practices outlined in this pamphlet can reduce pesticide contamination for many pesticides so that it is measurable only in trace amounts. 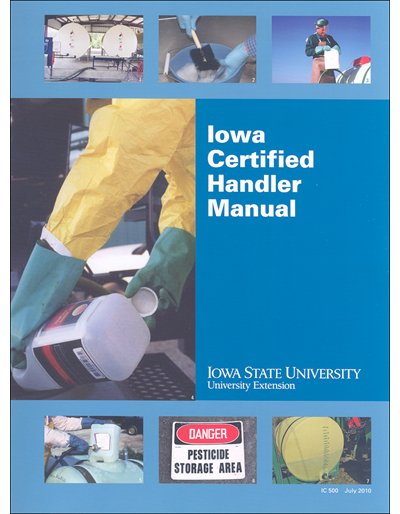 Iowa's confinement site manure applicator certification is designed to help you use manure as an asset and avoid water quality problems due to improper application. 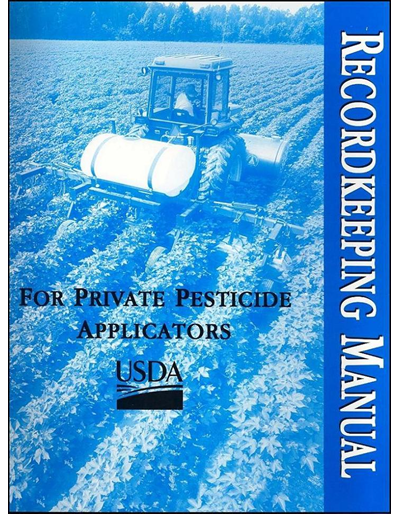 Find out about land application, emergencies and safety, applicator rules, recordkeeping, and more. 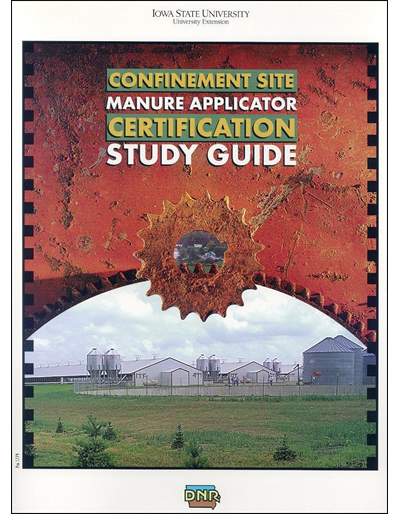 Iowa's confinement site manure applicator certification is designed to help you use manure as an asset and avoid water quality problems due to improper application. 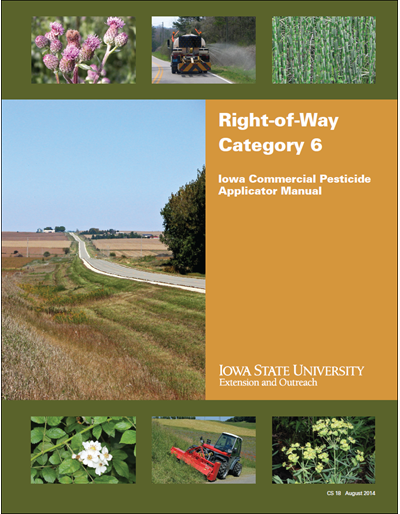 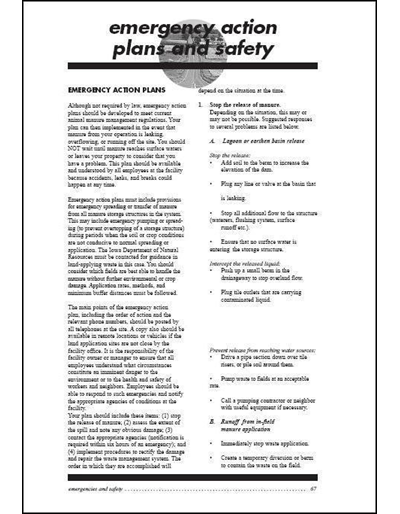 Find out about land application, emergencies and safety, applicator rules, and more. 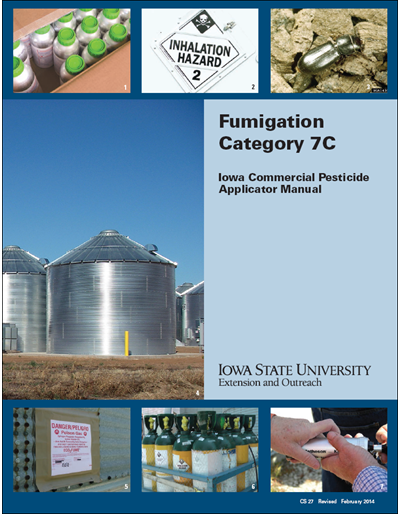 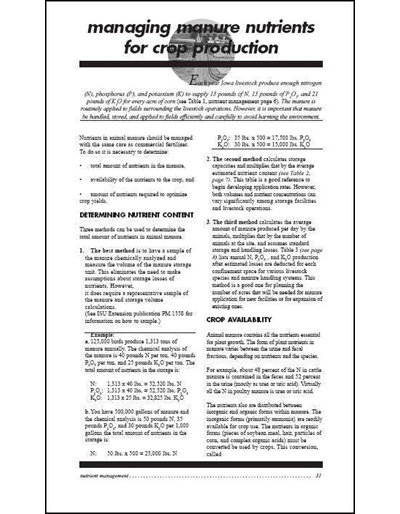 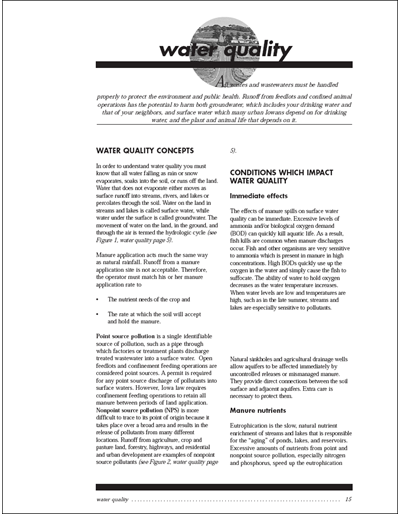 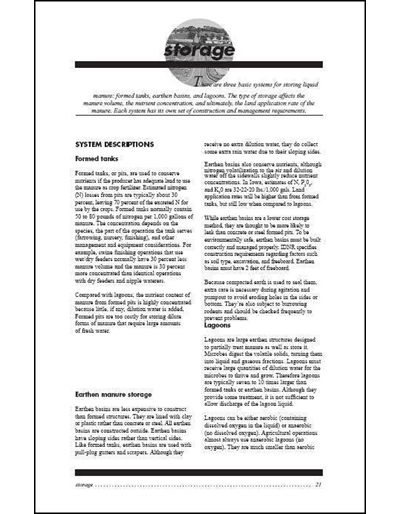 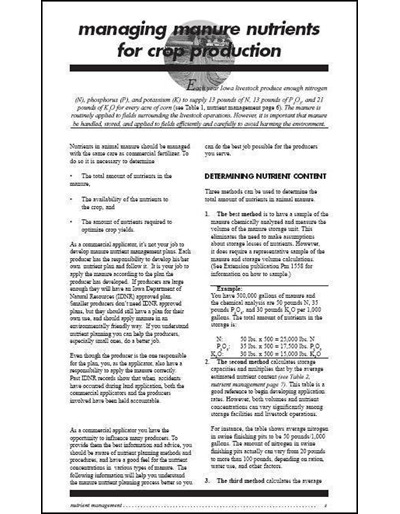 This study guide is for commercial applicators.